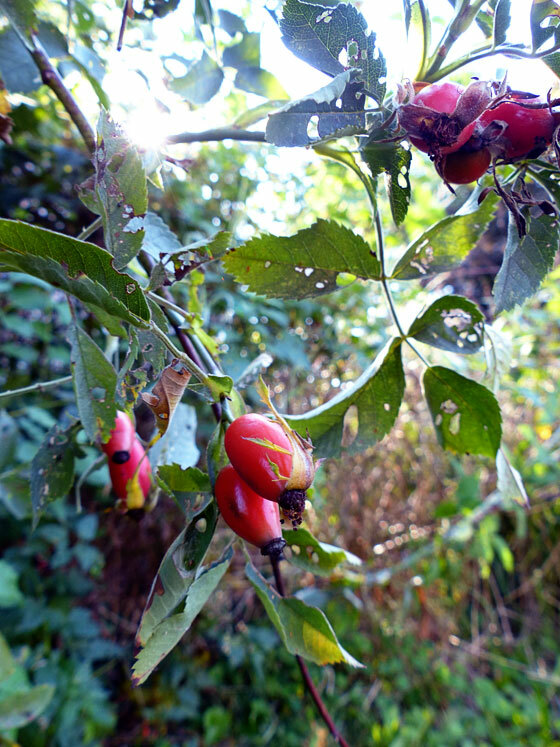 The rosehips on the bushes around the barn are as beautiful as the blooms were all summer. If you look, you can find beauty in almost anything. Even spent flowers. Nature is just beautiful. Last year I, er, acquired, a bunch of similar rose hips from a nearby property and used them in Christmas arrangements. They were beautiful. Unfortunately the plant didn’t survive the incredibly dry summer. I never would have considered that. They held up well for the arrangements?